A 2018 winner of a Royal Philharmonic Society Composition Prize, Chia-Ying LIN is a Taiwanese composer whose works have been performed in Taiwan, the UK, Finland, Italy, Hungary, Switzerland, Greece and South Korea. Her works have earned international recognitions since 2015, including a third prize at the International Jean Sibelius Composition Competition (Finland), a first prize at the First International Composition Competition Piero Farulli (Italy), a second prize at the International Composition Competition Michele Novaro (Italy), a first prize at William Howard’s Love Song Composing Competition (UK) and a commission prize from the Goethe-Institut Korea for its Asian Composers Showcase 2017. Described as having “manifest flair” (The Sunday Times), her Chanson Perpétuelle for piano was released on Orchid Classics (London) in 2018, while her orchestral work Occultra on the National Taiwan Symphony Orchestra in 2014. Her String Quartet was published by Ricordi Milan. Upcoming performances include a new commission to be premiered by Quatuor Béla at Festival Archipel 2019 and a new commission to be premiered by the Philharmonia Orchestra at Royal Festival Hall, London in summer 2019. Lin studied composition in Taipei, Manchester and Rome. 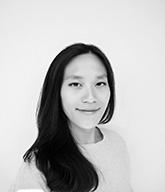 She completed a 6-month Mentorship programme at the Peter Eötvös Contemporary Music Foundation and was selected for the Philharmonia Orchestra/RPS Composers’ Academy led by Unsuk Chin.